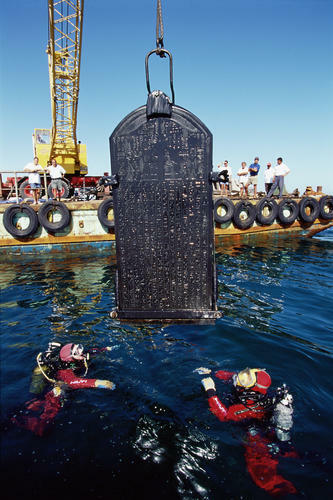 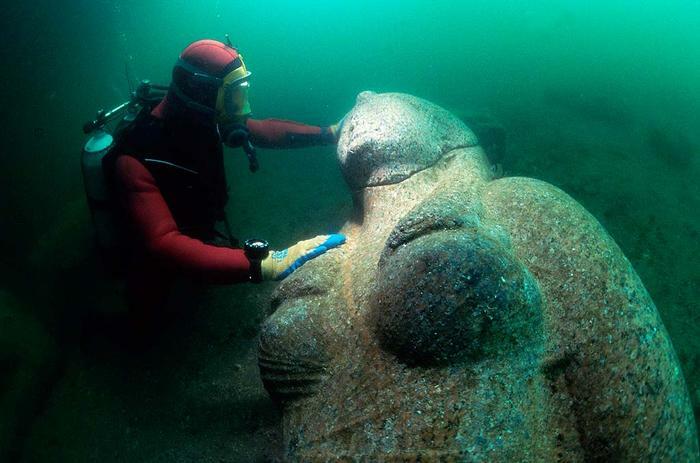 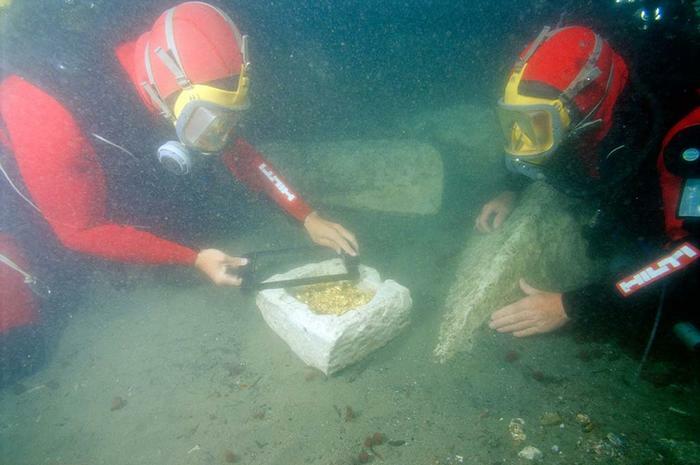 Two years ago the ancient city of Thonis-Heracleion was found below the waves in the Abu Qir Bay. 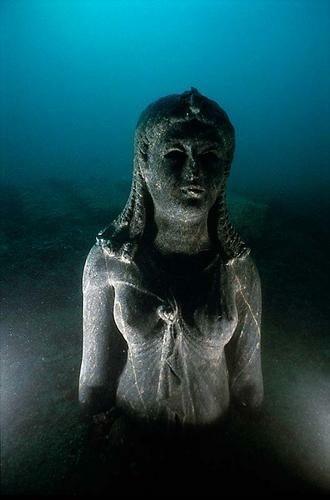 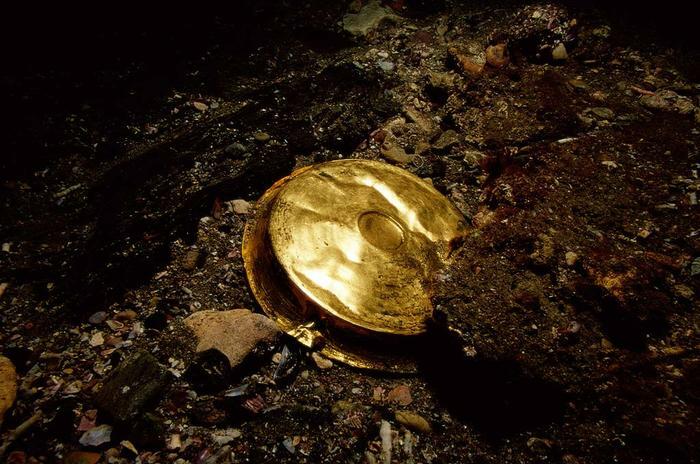 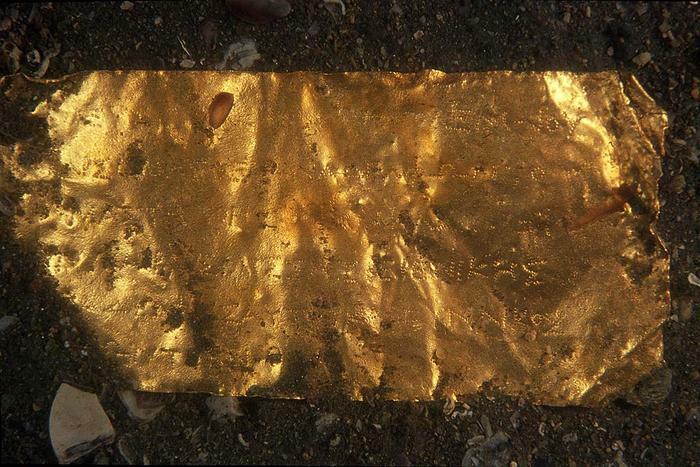 Just off the coast of Egypt but lost for hundreds of years, scientists had no idea what they would found. 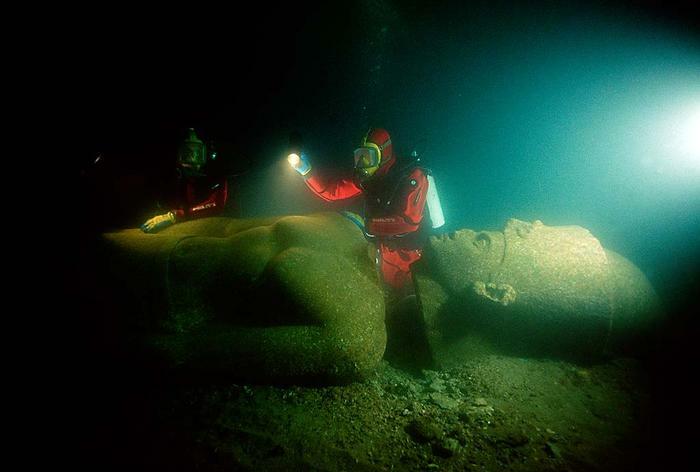 Thonis-Heracleion was founded around the 8th century BC and after a series of natural disasters it vanished completely by the 8th century AD. 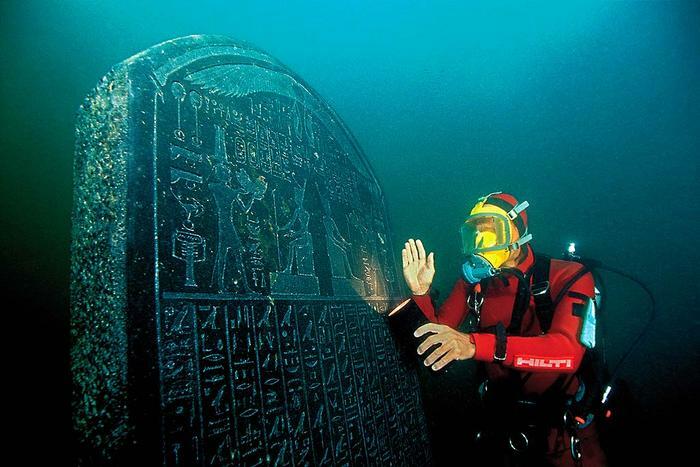 There was some mention of an important temple of Amun in texts but the city came close to vanishing entirely from written records. 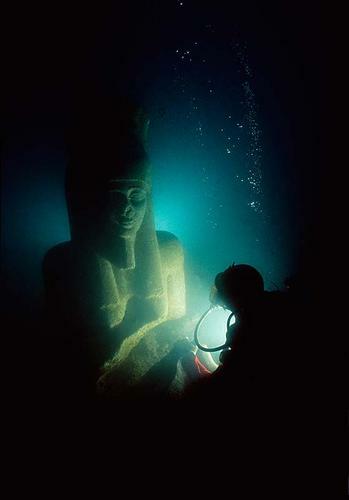 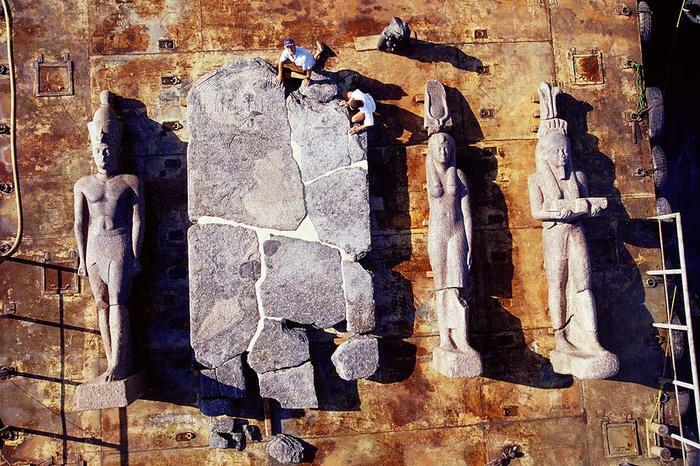 In the watery ruins scientists also found a huge statue of the god Hapi. 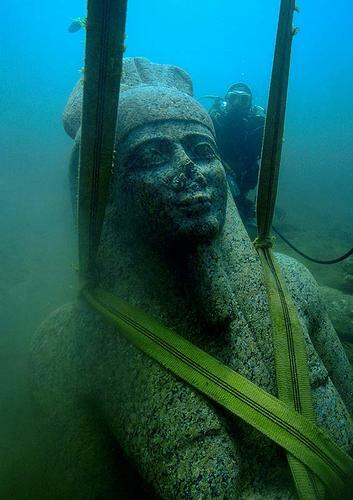 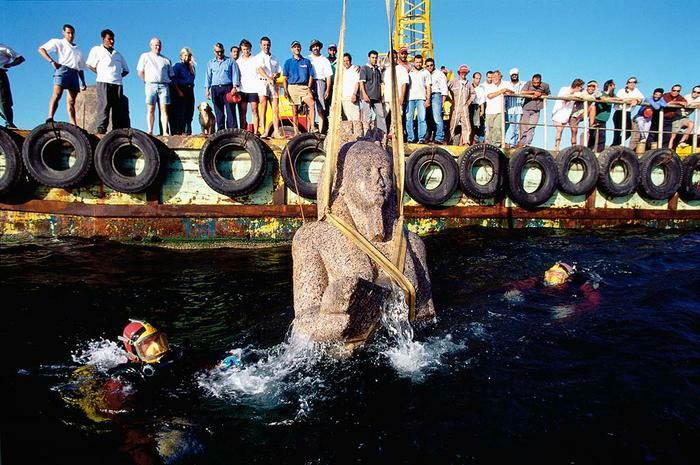 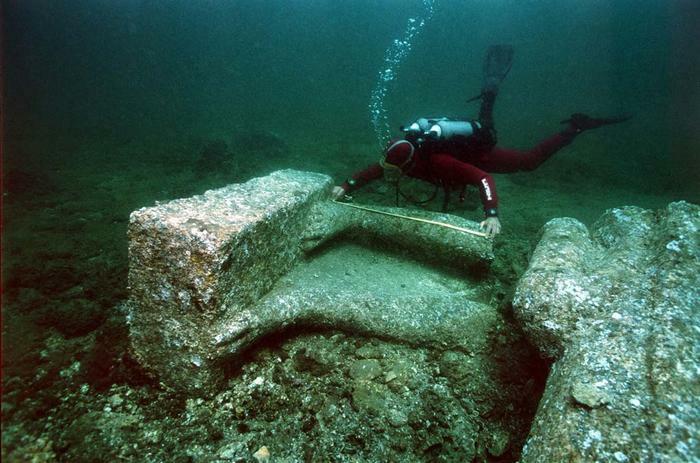 It once was part of the temple of Heracleion and part of the city. 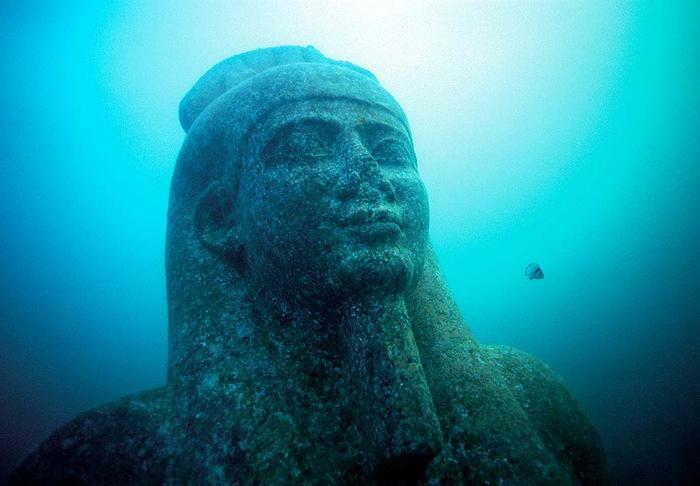 As it happens, Hapi is is the god of flooding of the Nile, perhaps appropriate for a sunken city, as well as being a symbol of fertility. 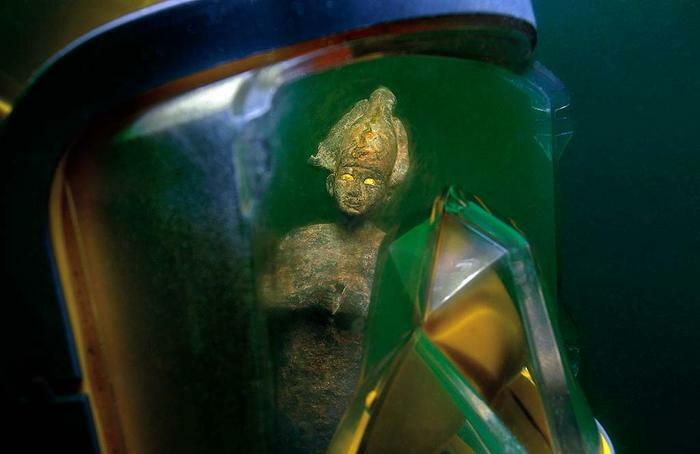 Want to try Egyptian magic? 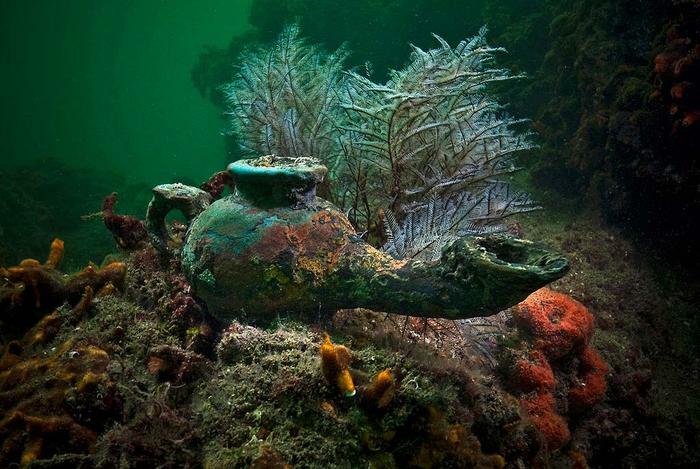 Start with the basic herbs, symbols and power items by visiting special stores on Etsy. 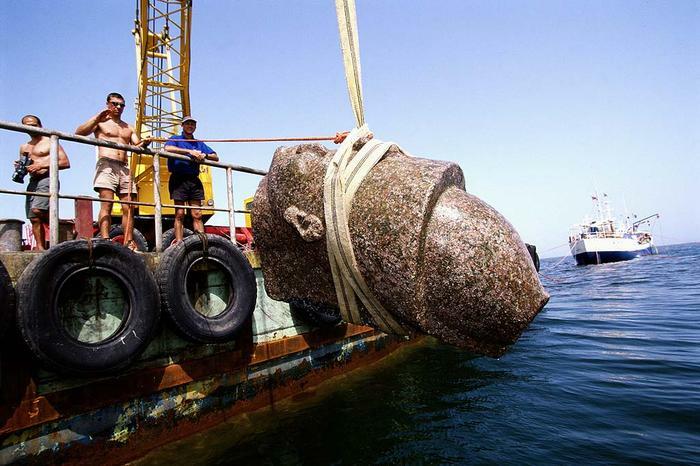 Tempted by a cheap holiday to Egypt? 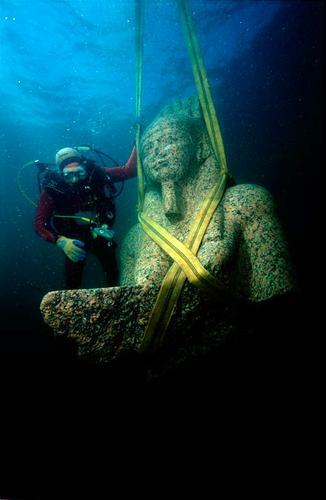 Holiday maker First Choice have package deals. 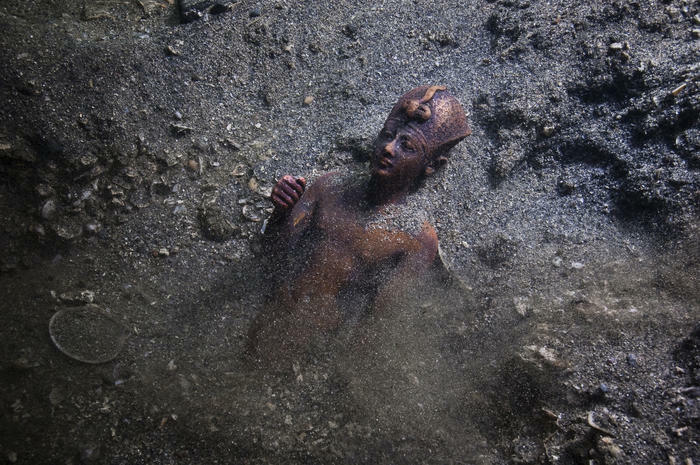 What do you make of these remarkable photos? 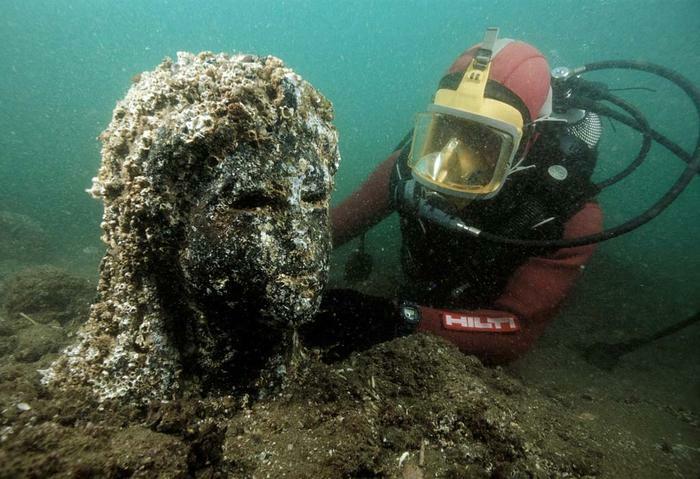 Isn’t Thonis-Hercleion almost like something out of a sci-fi movie?